When i found this book recently, i thought it would be wonderful if i could have it during my study. It definitely helps me especially for my business plan final project. However, it is never too late to have it now. Hence, to my all my former classmates of PDEBM11, should you wish to have a copy of this book, do not hesitate to contact me or please download here or here. To get any new business idea off the ground you must have a plan–and if you need to raise funds to finance the business or get the approval of senior management, it must be a convincing plan. This guide covers every aspect of preparing a business plan including how to analyze the market, how to model the business and financial statements, and analysis of risk and the assessment of both the upside and potential downside, and the all-important executive summary–often the only part of a business plan that is read. 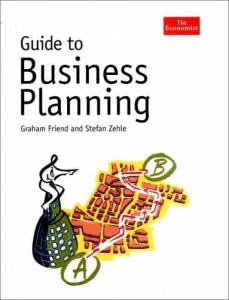 Finally, “Guide to Business Planning” shows how to use a business plan to help put your ideas into practice and how to monitor and measure the performance of the business. This newest title in The Economist series is critical for business people who have an idea and need a plan. Do not hesitate to keep a copy for your future reference. tp tatau bz biler nak baca..apsal mangmnt/marketng nih..
so abg harlym tgh smbng study ke?